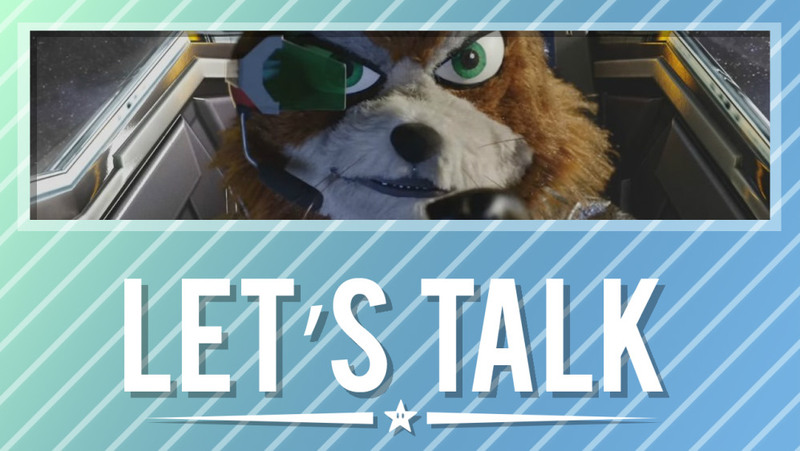 [Let’s Talk] Do the Star Fox Grand Prix rumors pique your interest? One of the biggest Nintendo rumors to have emerged within the past few days is Star Fox Grand Prix. Retro Studios, developer of the Metroid Prime and latest Donkey Kong Country games, is said to be working on the project. Taking inspiration from Diddy Kong Racing, Star Fox Grand Prix will apparently feature a hub world and boss battles. The project itself still isn’t confirmed, but a number of outlets have come forward within the past few days pointing to this week’s speculation being valid. However, if this game truly exists, we likely won’t hear about it until E3 – or possibly even in a Nintendo Direct later this year. Let’s assume for a minute that Star Fox Grand Prix is happening. Based on what we’ve heard, are you willing to give the game a shot? Or are you not interested in the idea of this sort of title? Are there are particular elements that you’d like to see? Share your thoughts with us in the comments below. Currently I’m not impressed by it. A lot still needs explaining, the NES titles don’t excite me, the voice app is completely unappealing, and if the online gameplay doesnt get better than the current Splat2 or MK8D experiences then there is nothing good to look forward to. Im willing to pay for Online since it’s fairly cheap, but i am in no way excited for it. I’m down for it. I need them to make the app better if they want me to use it. It needs a messaging system, it needs eShop support, it needs lobbies that aren’t dependent on which game is being played. They need to overhaul the app so it’s not just a splatoon outfit picker. Genuinely excited for what’s to come. I’m sold on this alternative to Virtual Console as well as the price point sometimes put me off buying them. The Legend of Zelda BOTW needed another title, and I’m glad it’s the first because that one is a favourite in the series. This is rubbish unless we can buy classic games individually in addition to the online service. I don’t want to rent games from Nintendo which are gone when A) Nintendo Online store ends, B) I stop subscribing or C) they switch out the games I want to play for worse ones.